Register your personal detail in the online registration form. Increase chances of winning by participate in the survey. All entries will be put in a pool and 1 lucky Weekly Winner will be selected via lucky draw and announced on Facebook page. 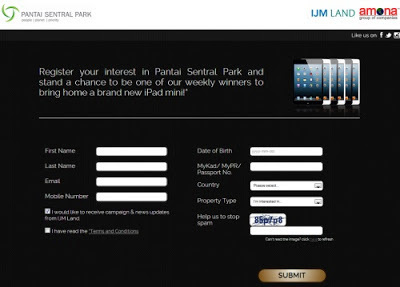 Visit Pantai Sentral Park website for more details.